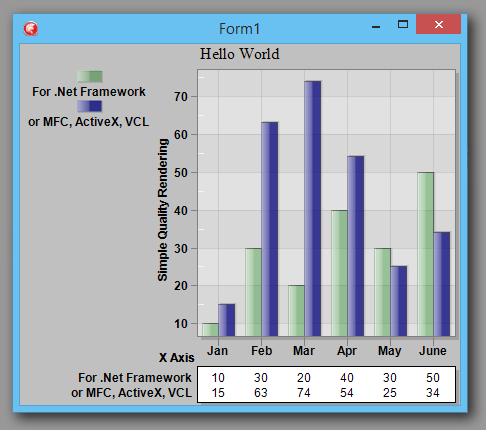 C++ Builder VCL Charting source-code adding charts to your EXE via VCL interface. 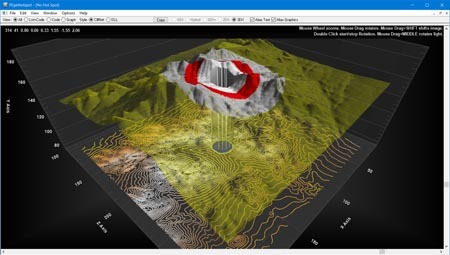 Size, Shape, Right Click, Export, Zoom (especially date and log scales), Pan and Rotate. 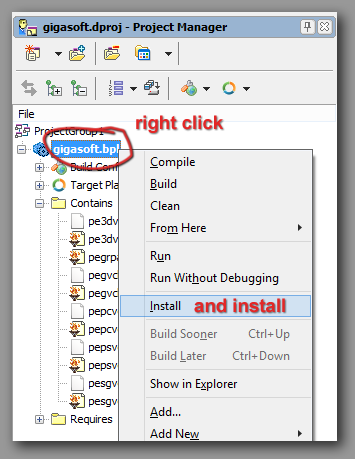 Installing into Builder is as simple as opening the the package file gigasoft.bpk. If your IDE supports both Delphi and Builder personalities, follow our Delphi walkthrough as installing into Delphi is recommended and supports Win32 and Win64 bit as well as Builder projects. After setup completes, use the Builder menus File / Close All and then File / Open to open the file "GIGASOFT.BPROJ" found in the C:\ProEssentials9\Builder directory. 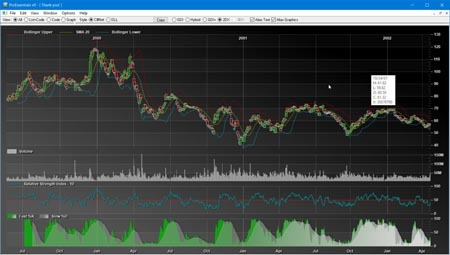 You will see a project pane similar to shown at left. Right click near the top "gigasoft.bpl" and select Install. The interfaces are compiled and ProEssentials components registered into the "Additional" tab. We provide the PAS source incase you need to tinker with the interfaces. After the components are installed into the Builder IDE, use the File / Close All menu item and save the "Gigasoft" package when prompted. Use the Tools / Options... menu to open the "Builder" Dialog as shown to the left. 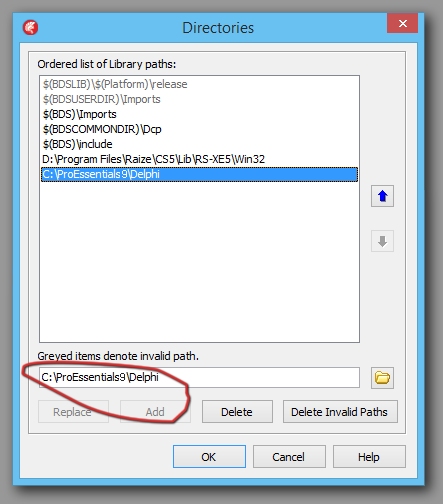 Add "C:\ProEssentials9\Delphi" to the "Library path" field and select "OK". Repeat the Tools/Options... settings to also adjust the "Include path" similar to the Library path. With these steps, any project you create in Builder will find the ProEssentials VCLs, Units, Objs as needed. 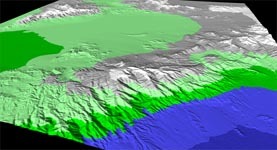 The adjacent image shows a similar result. This represents the default state of a ProEssentials Graph. 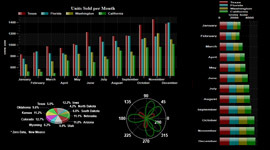 The default state has one subset with four data points. 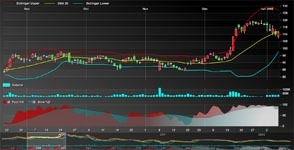 In the course of constructing your own charts, you'll set the properties Subsets and Points which define the quantity of data your chart will hold. You'll then pass data via the YData[subset][point] two dimensional property array. The following section shows example code of passing data. 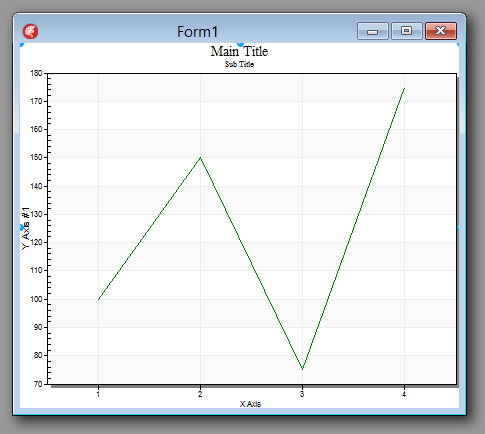 Note, if we were constructing a Scientific Graph (PESGraph1), we'd also set XData[subset][point]. 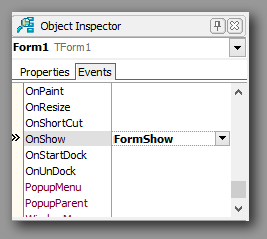 Use Builder's Object Inspector to add the TForm1 FormShow event handler to the project. Enter the code as shown below. 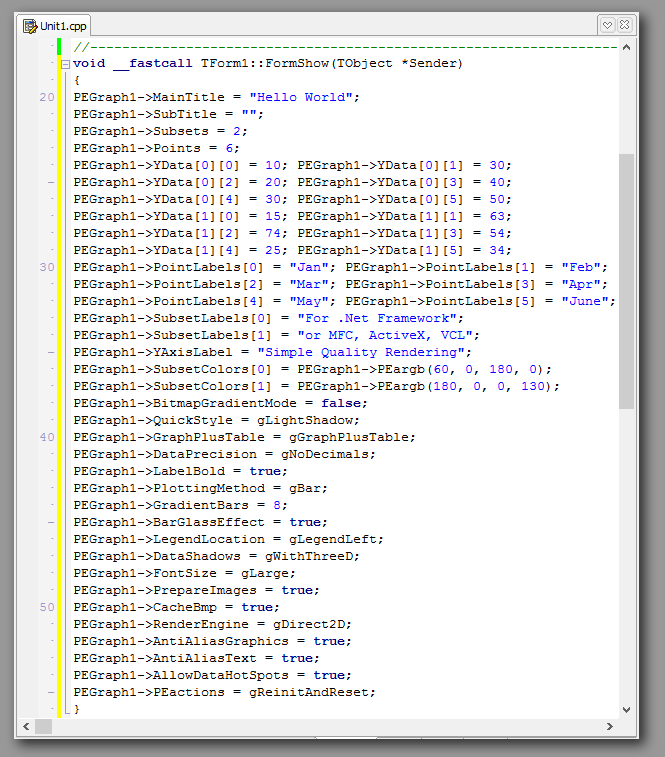 Builder's code complete key strokes help resolving enums. Next, we pass some random data into the YData[s][p] two dimensional property array. Congratulations, you've just completed your first C++ Builder ProEssentials implementation.